After the 12th release of our 'Goa Sessions' Series with 'Outsiders'. We are proud to bring you the ever anticipated 13th round! Nobody could do it better than England's world renowned producer's Jeremy van Kampen a.k.a. Laughing Buddha. He endeavor to open up his magical musical treasure chest for us. Providing their undivided Attention to present you with 2 CD's. An overview of his real taste and knowledge into our psychedelic Trance scene. 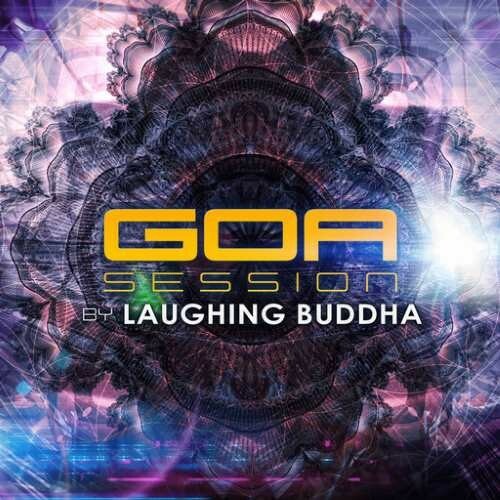 The result is a fantastic journey into our world of deep psychedelic trance. Included are his latest productions and collaboration works with Tristan (Fearsome Engine), Space Tribe, Eat Static, Outsiders and Electric Universe (Outside The Universe), Avalon. As well tracks from well known producers like Future Frequency, Vertical Mode, Astrix and Tristan, Circuit Breakers, Imaginarium, MadTribe, Djantrix, Earthspace, Pogo, Waio, Electric Universe, Tristan and Magik. The result is over 140 minutes of a deep and epic journey into the Mind of a unique Artists. For us it is a real pleasure to present you with this outstanding 388th release on Y.S.E. Recordings.